This was the advice Swami Vivekananda gave to a junior monk when he complained about restless meditations. 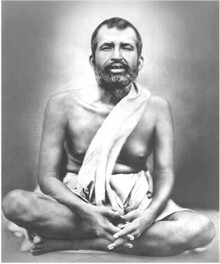 Similarly, when the devotee Surendra told Sri Ramakrishna, Swami Vivekananda’s guru, that his meditations on the Divine Mother were not successful, Sri Ramakrishna stressed the importance of balancing meditation and contemplation, on the one hand, with the practice of ritual worship, pilgrimage, and service to living beings, on the other hand. Indeed, both Sri Ramakrishna and Swami Vivekananda emphasized repeatedly that in these times the traditional vow of personal liberation through meditation only is not enough to realize God; one must also take the vow of service to others to experience God fully. 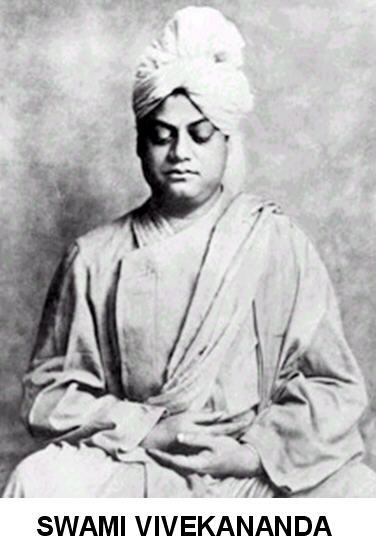 Swami Vivekananda tells us that, in fact, service to the living God in man (and woman) is the goal of life. Sri Ramakrishna and Swami Vivekananda could easily have been directing their advice to me. For years I have been a student of yoga and meditation, but it was not until recently that I realized that my own spiritual practice was unbalanced. I was placing too much emphasis on my own daily meditations and yoga practice without giving any conscious consideration to the importance of the spiritual discipline of service to others. Intrigued and motivated to discover more about how to serve others, I started my journey to find balance in my spiritual practice. Those who practice karma yoga regard the inner struggle to perform true service as a form of tapasya (austerity). To fully understand the path of service, we must first realize that this is the path of action. Contemplation on the Atman is important, says Swami Vivekananda, but working for the sake of others with non-attachment is as difficult as any tapasya, and produces identical results. Every act of service that is performed in the true attitude of self-surrender and non-attachment moves us toward the goal. The ideal karma yogi is at peace within himself even in the midst of the most intense activity. Swami Vivekananda urges us to approach the path service as a privilege. When we give ourselves in service, we are actually performing a service that is a blessing to ourselves. The key to receive this blessing for ourselves is to give with non-attachment. When we attune ourselves to God within us and allow Him to operate through us, and when we realize that all fellow beings are expressions of Him, then we know that it is God within us allowing us to serve God in others. We are just the vehicles of God’s own service to Himself. To remain unattached to our actions, and to allow God to serve through us, we must serve God in the spirit of unselfish action and surrender the fruits of our actions to Him. This is not an easy process. It takes constant practice. With self-surrender there is self-sacrifice. We must be prepared to sacrifice everything to God, and the best method to sacrifice ourselves to God is through service. As the attitudes of self-surrender and self-sacrifice mature so must our inner prayer. “Thy will be done.” To feel that we are doing God’s work, we must witness our actions with non-attachment, constantly offering all fruits of actions in an eternal sacrifice to God, our Master, while at the same time constantly loving Him and feeling that we live in His holy surroundings. Sri Ramakrishna is telling us that the servant/master relationship can lead to a joyful interplay between the devotee and God, in which the personal ego is freely surrendered to the direction of God’s will. In this process, the ego attains a wonderful feeling of oneness with God. As we serve our fellow man, we must feel that we are serving God our Master, who is both within us and within the people we are serving. We are told that there must be a balance between meditation and acts of service. In their enthusiasm, some devotees want to spend day and night in meditation and contemplation. “Meditation is not possible for sluggish people,” says Swami Brahmananda, another disciple of Ramakrishna. He stresses that these efforts must be balanced with good works. The results of good works will clear the path for higher realizations. And the opposite is also true, stresses Swami Brahmananda. In one’s enthusiasm to perform good works, one must not allow the pressure of work to be an excuse to limit one’s meditations. Restlessness of the mind is the real culprit. Therefore, contemplation and action must be combined and balanced in one’s individual sadhana. Compassion also plays an important role in the process of service. According to Sri Ramakrishna, compassion is due to God’s grace. He further emphasized that we should not only have compassion for all living beings, but we should serve man especially as living expressions of God. Indeed, he says that “he who has no compassion is no man.” It was Aquinas who said that “no one becomes compassionate unless he suffers.” As our contemplations take us inward, we are faced with our own pain and inadequacies. It is only when we can have compassion for our own sufferings that our compassion can move outward with empathy to serve our fellow man in his sufferings. Our deepening realization of the interconnectedness of all living beings puts us in direct contact with the universal sufferings of others, and this motivates us into compassionate service. We will learn through our own struggles and sufferings to develop empathy for the sufferings of our fellow man. From this we can cultivate, by God’s grace, the right attitude of compassionate service. Matthew Fox explains this process in similar terms. To develop true compassionate service, says Fox, we must develop a balance between introvert meditation and extrovert meditation. In introvert meditation, we discover that God is within us; in extrovert meditation, we move toward organic wholeness, an understanding that God exists all around us, and that we are a part of His wholeness. Extrovert meditations are required to move the richness of the solitude discovered in introvert meditation outward through work and action toward a celebration with life and a feeling of compassion for life, not an ascetic denial of life. Compassion becomes meditation when we grow in the attitude that we are serving God in all beings. Thomas Merton also observed that compassion leads us to this wholeness. “The whole idea of compassion, says Merton, “is based on a keen awareness of the interdependence of all these living beings, which are all part of one another and involved in one another.” To understand this, we must observe life with the spiritual discipline of a meditator, and eventually we will come to realize that God within us is linked to God in nature around us through our compassion. The art of compassionate service then becomes a working meditation, a worship of God in all we do. Swami Vivekananda instructs us to develop the attitude that all activity, work, and service is the worship of God. “When you are doing any work, do not think of anything beyond. Do it as worship, as the highest worship, and devote your whole life to it for the time being.” He reminds us that we cannot get away from work. We are always working physically and mentally; even our breathing is work. Worship cannot be confined to our meditation hour, our week’s hour at church or temple, or our time of prayer. All activity must be approached with the conscious attitude that we are worshiping God in that activity. If we can develop the attitude that all of our work is His work, then we must make greater effort to be skillful in that activity, as if it were a meditation. Since God is in all and is everywhere, our attitude of worship must be extended to the service of God in all living beings, especially man. Swami Brahmananda adds this comment: “If a person in able to meditate well, he is able to work well also.” Approaching our work as worship becomes a form of meditation. By paying full attention to details, we develop skill in action, and will teach or perform the best posture, or peel the best potatoe. We can do this when we place seventy five percent of our mind on God, and twenty five percent on the act of service we are performing. Just as we worship the unmoving image of God in the temple, we must worship the moving image all around us, and in all we serve. Swami Vivekananda tells us that more than all else we must “work through love.” Every act of love brings peace and blessedness as its reaction. And love, when freely given in service to others, makes us calm and unattached. Jesus commands us to “…love the Lord your God with all your soul and with all your mind,” and with no less fervor, to “love your neighbour as yourself.” Real love is self-giving, and as we love God through ourselves and through our neighbours, we come to realize that we are mere instruments of God’s love. We must surrender to His love and learn to approach every situation with His love. We must love to serve God and His purposes, and allow His divine love to do perfect work through us. To a bhakta, or lover of God, there is one love that permeates all. In one who truly loves, there is no dualism, or separateness, or ego differences. Swami Vivekananda knew what he was doing when he gave his lectures on karma yoga to audiences in the United States in the late 1800’s. He was planting seeds he knew would one day bear fruit, with the proper cultivation. The ‘work ethic’ is so deeply rooted in the psyche of our North American society, yet we have little understanding of the tremendous secrets that can be revealed with the right attitude towards work. Our personal yoga and meditation practices can be enriched beyond comprehension once we learn to serve the Living God within us and within our fellow man. As we constantly strive to perform true service with the right balance of meditation, compassion, unselfish action, self-surrender, self-sacrifice, worship, and love, we must keep in mind that we are God’s servants, doing His work.